The distinction between employment and self-employment is a continuing source of controversy and a ruling by the Employment Appeal Tribunal (EAT) that an accountant who worked exclusively for one client fell into the former category has added a new wrinkle to the vexed debate about employment status (Exmoor Ales Limited and Another v Herriot). The accountant practised in partnership with her husband. For more than ten years she worked for a small brewery company as an independent contractor. From 2011 onwards, however, an agreement was reached that she would be paid an additional £1,000 per quarter in return for providing her services exclusively to the company. That arrangement subsisted for several years before her relationship with the company’s owner deteriorated and she ceased working for the company. She later launched Employment Tribunal (ET) proceedings against the company and its owner, alleging unfair dismissal, age discrimination, harassment, victimisation and a failure to provide holiday pay and written particulars of employment. At a preliminary hearing, the company argued that she was neither an employee nor a worker within the meaning of the Employment Rights Act 1996, and that the ET thus lacked jurisdiction to consider her complaints. There had never been any written contract and she had submitted VAT invoices for the services she provided to the company. She had paid her own Income Tax and National Insurance Contributions and had referred to herself throughout as a contractor. The ET, however, found that the relationship fundamentally changed to one of employment at the point when she agreed to work exclusively for the company. She had her own workstation within the company’s premises and the company’s owner exercised a high level of control over her work. She also provided her services personally, precluding any possibility of substituting someone else to do her work. In rejecting the company’s challenge to that ruling, the EAT found that the ET’s conclusions were unassailable. 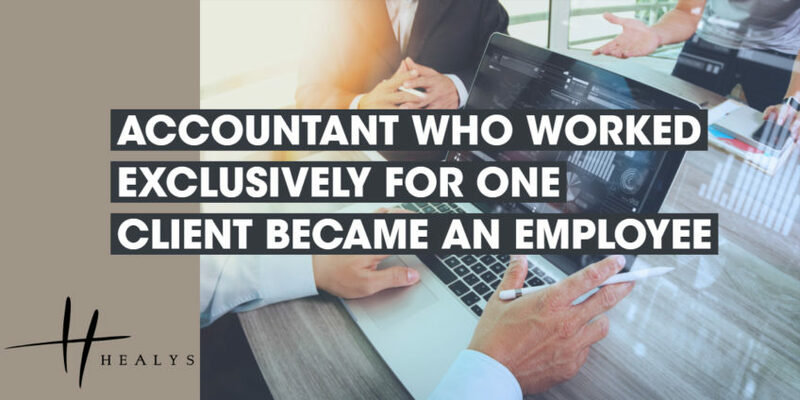 The accountant was fully integrated into the business; she was obliged to work personally and exclusively for the company and the latter undertook to provide her with work and to pay her for the same. There was thus a mutuality of obligation that gave rise to an employment relationship. The case was sent back to the ET for consideration of her complaints on their merits. Where there is any doubt over the correct employment status of someone who works for you, we can review the contractual arrangements to ensure that they are appropriate, and that the terms of the contract are both realistic in the circumstances and accurately reflect the intentions of the parties to it.